On the list of the greatest, not to mention the most valuable, British cars of all time, the 1960 Aston Martin DB4 GT Zagato is way up near the top. Even taking into account all of the many excellent high-end grand touring cars that were made in the ’60s, the DB4 GT Zagato was exceptionally beautiful. The car became a topic of conversation for Aston Martin boss Ulrich Bez and Andrea Zagato when the two were both serving as judges for the 2001 Pebble Beach Concours d’Élégance, and the pair concluded that a collaboration was in order to create a modern version of the timeless classic. 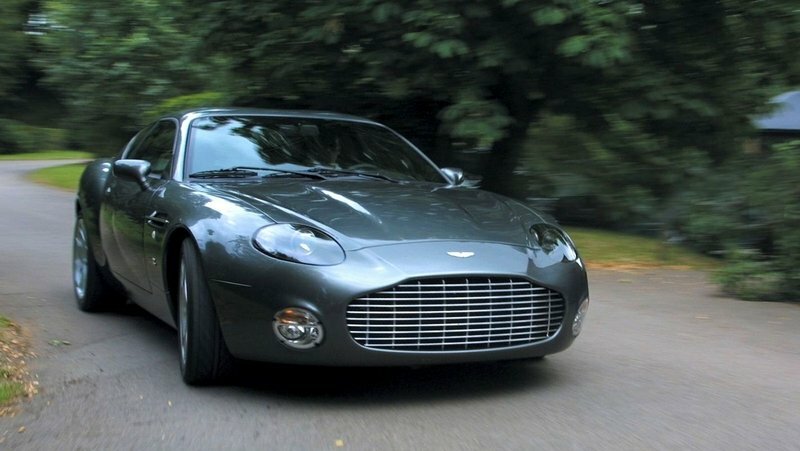 The result was the DB7 Zagato, a limited production car that debuted in 2002 and immediately sold out completely. The philosophy behind the car was slightly different this time around. The original car was built racing, as were most Zagato versions of cars in those days, but the DB7 Zagato was made for the road. But then, Aston Martin had some difficulty selling the original DB4 GT Zagato, and the mix of Italian styling and British luxury that was the new car had no such problems. This despite costing much more than any other Aston at the time. Continue reading to learn more about the Aston-Martin DB7 Zagato. In 1965, the Aston Martin DB5 was on its way out of showrooms and the new DB6 was being shown off at the London Motor Show. Between these two events lies the shortest-lasting production model convertible ever produced by Aston: the 1966 Aston Martin Volante. The Volante was based off of the 37 remaining unused 1965 DB5s, but donned the more luxurious amenities of the DB6. When this model debuted, it was nicknamed the “Short Chassis” in an effort to help distinguish it from the longer DB6. As a result of the name, many people mistook that as meaning it was actually a shortened version of the DB5, which it is not. Despite its awesome performance for the era, sharp looks, and popularity, the Volante was only an interim car. It was used just to bridge the gap between the time that the DB5 left and the DB6 hit showrooms. This means that production ceased as soon as the 37 unused DB5 chassis were converted. Coming across a rare Aston Martin like this happens just about as often as you have a chance of seeing a Sasquatch or the Loch Ness Monster. Okay, maybe it’s a little more likely than seeing those, but you get our point. Well, get your wallet and passport ready, as RM Auctions is just about to auction off one of the 37 1966 Aston Martin ’Short Chassis’ Volante units on May 12th, 2012 in Monaco. So how does this classic Brit motorcar look, feel, and drive? Aston Martin considering its straight six options; DB7 to follow? Aston Martin may be making headlines with their new Virage powered by the company’s 490hp V12 engine, but back at the headquarters, execs are talking about the return of a specific engine used back in their heyday. The future generation of Aston Martin sports cars may come packing the classic ’straight six’ engine configuration that dominated Aston Martin during the time of the DB7. Aston Martin’s chief exec, Dr Ulrich Bez, said that the company is already preparing an inline engine of "around 2.5 liter capacity with direct injection and turbocharging." 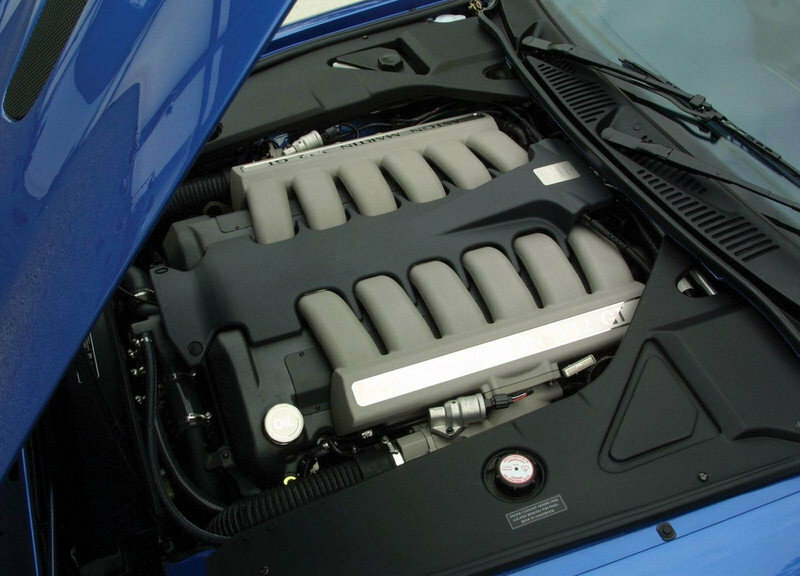 If this kind of engine is used, the models featuring it will be built on the same VH platform that underpins all its current models: "And of course a straight six will fit, because we can already get the V12s in." The DB7 was actually the last Aston Martin to carry the straight six configuration, so we’re wondering if this particular badge will make a comeback in the next five years. There’s not really much to go on to make an accurate prediction, but considering the Aston Martin DB7 was the highest production Aston Martin model ever, we think bringing it back may not be such a bad idea. Ever wonder what your pizza man does with that big tip you give him? 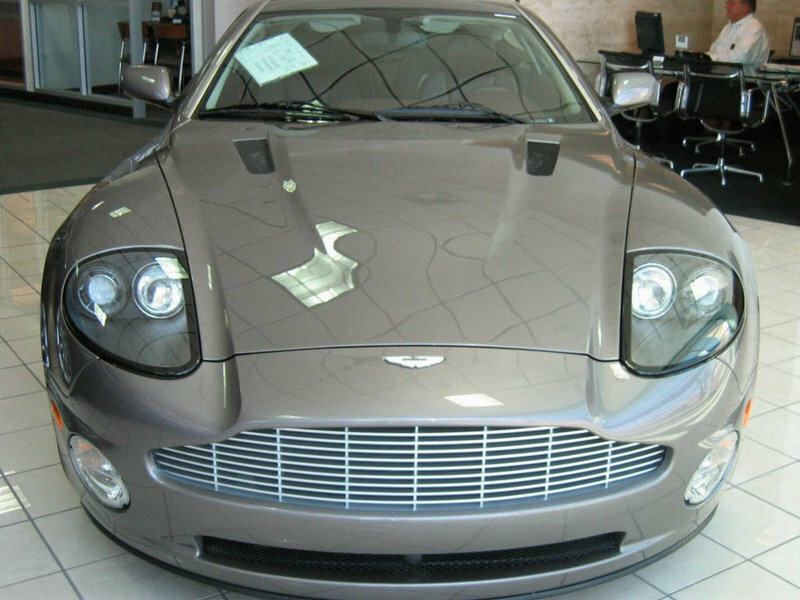 I doubt too many buy a Aston Martin DB7 Vantage. Then again, this is more likely your stock broker’s new career. 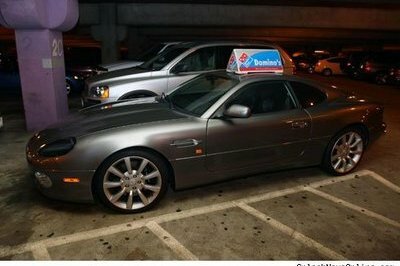 So next time your pizza man shows up in a designer suit, take a peek at what he’s driving. The Aston Martin DB7 was a grand tourer made by Aston Martin from September 1994 to December 2003. The grand tourer was available either as a coupÃ© or a convertible, and debuted at the Geneva Motor Show in March, 1993. 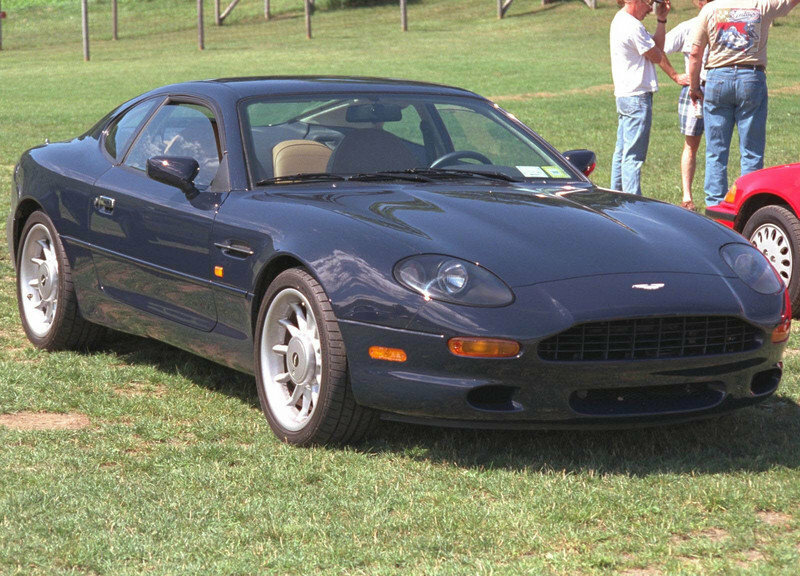 The six-cylinder DB7 replaced the lower Aston Martin V8 models, placing below the hand-built V8 Virage introduced a few years earlier. The DB7 was the most successful Aston Martin model ever, with more than 7,000 built before it was replaced by the DB9. The DB7 was styled by Ian Callum, and it is widely considered one of the most beautiful and timeless of automotive designs. The Vantage name has been used by Aston Martin since 1950 to identify the highest performance model in a particular range. It was first introduced for the Aston Martin DB2. Since the DBS model in 1972 a Vantage derivative has included changes to the specification of the brakes, steering and suspension to match the improved performance. Now, a New Aston Martin Vantage has arrived on the scene, the DB7 Vantage , with a maximum speed in excess of 180 mph (290km/h) powered by a totally new, high technology 420 horsepower 6.0 litre V12. Produced for a decade straight, the Aston Martin DB7 is easily one of the British marque’s most recognizable products. Chalk it up to the car’s huge popularity, with roughly 7,000 units rolling off the line before it was replaced in 2004. 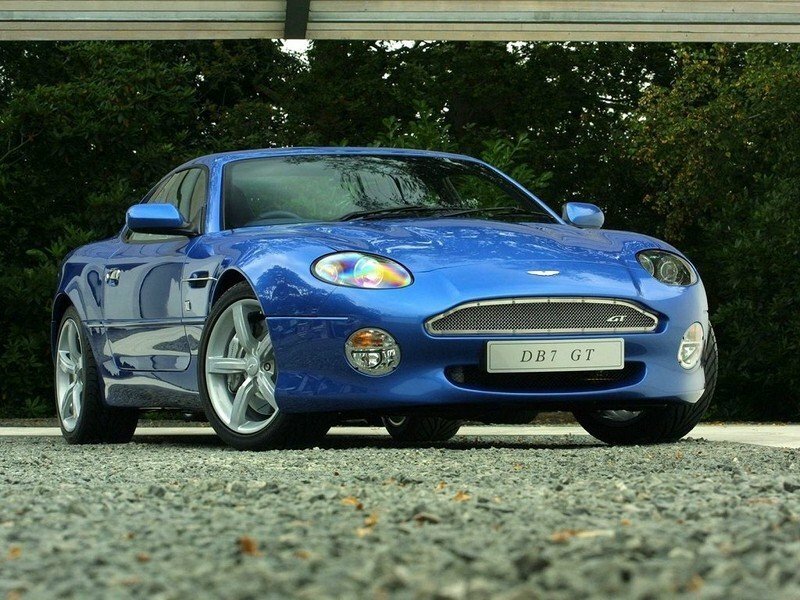 But prior to its burial, Aston gave the DB7 one last hurrah in the form of the more powerful, more aggressive, and altogether more desirable GT variant. Extra ponies under the hood and crisper handling in the corners make the DB7 GT the one to get, but only a few hundred were ever built, and just a handful were sent stateside. Still, if you can find one in good working order, the DB7 GT is capable of delivering 12-cylinder thrills for a surprisingly affordable price tag. This thing is unadulterated Aston Martin GT goodness, packed to the brim with style and character. Read on for the details. 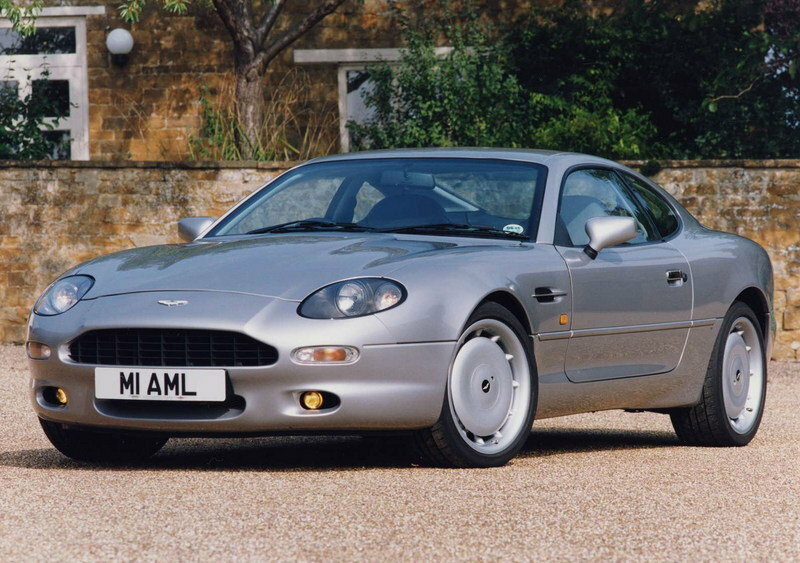 Continue reading to learn more about the 2002 – 2003 Aston Martin DB7 GT.